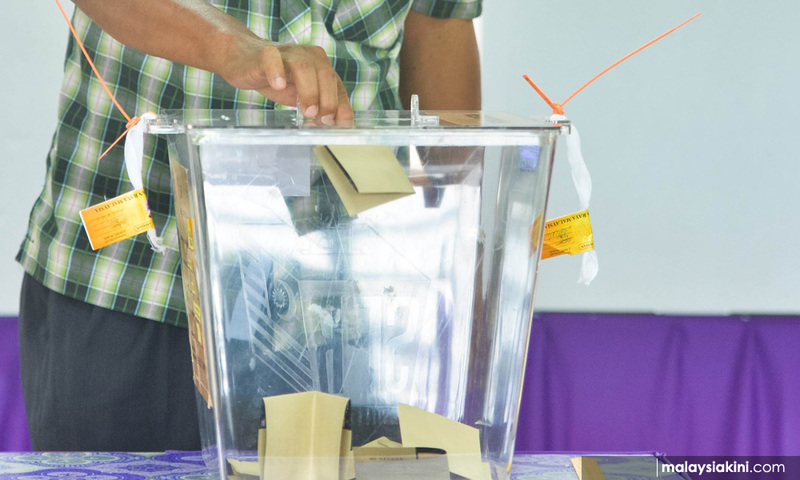 LETTER | G25 calls on all eligible voters to come out in full force on Wednesday, May 9, to exercise their democratic duty of voting for candidates contesting to be elected to parliament and state legislative assemblies. Although voting is not compulsory in Malaysia, it is a responsibility which all eligible voters should carry out for the sake of our future as a free, democratic country, with a government that is elected by the people and for the people. The government has declared election day as a public holiday. However, voters who live far away from their constituencies may need more than election day off work if travel time to their districts and their mode of transportation is taken into consideration. We appeal to all employers to be lenient in granting leave for those living far, and to provide any reasonable assistance they may need to enable employees to travel to their voting districts. The Elections Commission will be responsible for ensuring the elections are free and fair to reflect the true choice of the people of the government that they want for their country. GE14 will be closely watched by the world, especially with the unfavourable reports in foreign media about the country’s financial scandals. The commission must be strictly professional so that the results will be accepted by the people and recognised internationally as valid. This will help to restore confidence in the future of the country as a stable and mature democracy, with good prospects for sustainable growth. We, the people, hope and pray that the elections will be free of undesirable incidents so that after the elections are over, the country can put aside the divisive politics to concentrate on building a better future for all Malaysians, with all races living in harmony as a truly united nation. In particular, whichever party comes into power, we expect it to carry out the pledges in its campaign manifesto to introduce the various reforms for good governance and rule of law, accompanied by specific measures to strengthen human rights and eliminate all forms of discrimination. We wish all political parties a healthy competition in reaching out to the electorate without exploiting the issues of race and religion. Today’s generation of Malaysians have more respect for politicians that win the seats using clean politics than those who use money to bribe voters. We G25 call upon the MACC and the police to ensure that all candidates obey the law in their election campaigns. The Malaysian elections are entering a new era where the results are getting close between the ruling and opposition parties. This trend should be welcomed as a healthy sign of our maturing democracy. G25 hopes all parties will accept the new reality in Malaysian politics as it reflects the feelings among the people that they are more comfortable with balanced representation at both Federal and state levels because if the winning party is too strong, it will be tempted to abuse its power and forget all the promises about institutional, economic and social reforms. We believe that a government with a strong opposition will serve the country better in bringing the economic and social justice to the people. Many in G25 are former senior civil servants holding various positions in the government. We are proud of the tradition of loyal service to king and country despite the several changes at the political level. We hope this tradition will be continued irrespective of which party becomes the next government. G25 is a collective of top Malay Muslim professionals and former civil servants.